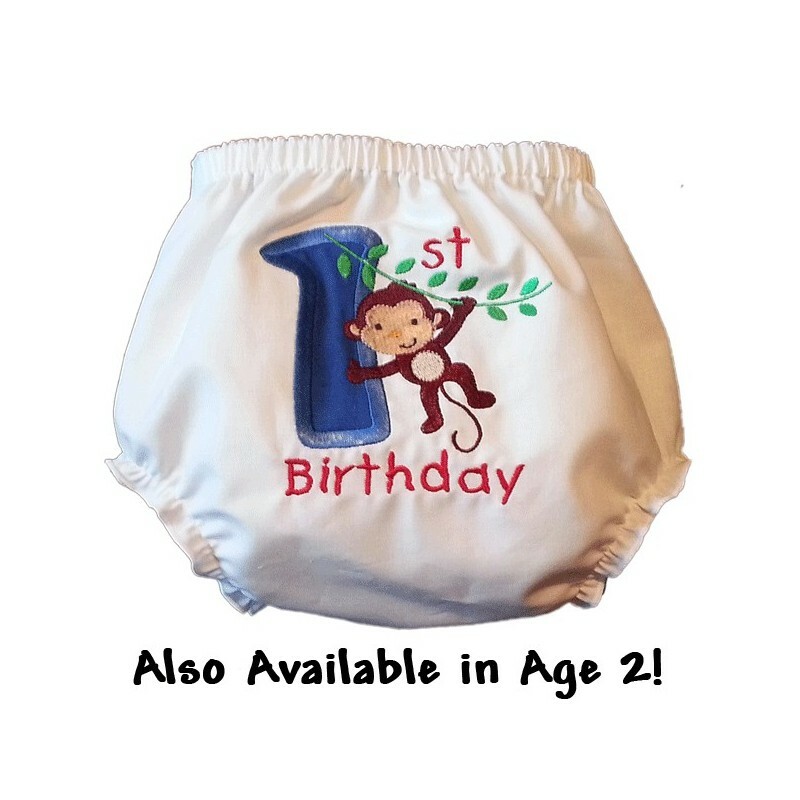 Perfect for boys or girls, this fun loving birthday monkey is sure to bring a smile to your little one's face! Birthday clothes add the right touch to any party! They'll love these monkey bloomers so much, they'll want to wear them all year long! 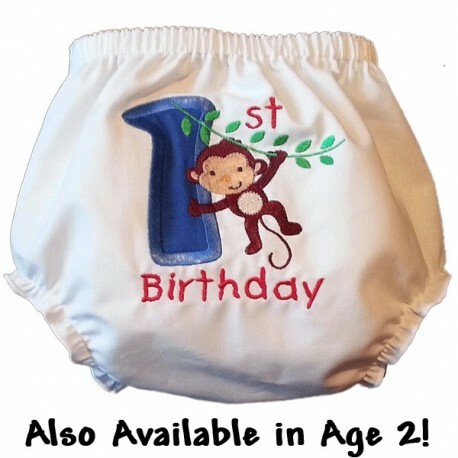 Features: Applique number in your choice of #1 or #2. Adorable embroidered monkey. Comfort elastic.